McNary dug itself into a deep hole and couldn’t climb out, falling at home to Franklin 14-10 on Wednesday, March 21. The Lady Celts got behind early as Franklin scored three runs in the top of the first, four in the second and five in the third to take a 12-3 lead entering the fourth inning. The Lady Celts struggled with Franklin’s small ball approach at the plate as Franklin bunted four times in the first three innings. McNary had four infield errors, including three in the top of the third. 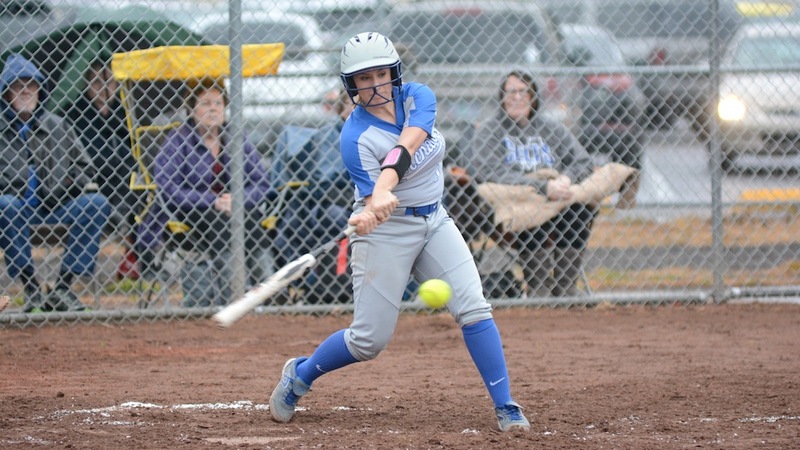 Alexa Cepeda scored McNary’s first run of the game, reaching on a single to center field in the bottom of the first and then scoring on a ground ball by Kate Ronning. Nadia Witt added a two-run homer to center field in the bottom of the second. The Lady Celts slowly chipped away at Franklin’s lead as Witt hit a RBI single to drive home Courtney Roberts in the bottom of the fourth. Witt then scored on a throwing error. Taylor Ebbs tripled in the fifth to bring home Ronning. Ebbs then scored on a single by Faith Danner. In the circle, Danner held Franklin scoreless in the fourth, fifth and sixth innings, allowing just two singles and a walk, as McNary went to the seventh trailing 12-7. But Franklin added two runs in the top of the inning on a home run to left field. With two outs in the bottom of the seventh, Haley Bingenheimer doubled to score Ebbs and Roberts. Witt, who was 3-for-5 with two runs and four RBIs, then double to drive in Bingenheimer before the game ended with a ground ball to second base. Bingenheimer was 3-for-4 with two runs and two RBIs. The Lady Celts are scheduled to host Oregon City Friday at 4:30 p.m.